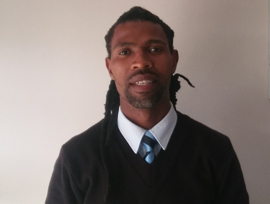 Khayelitsha Travel has been in the travel business for 5 years, and set up in Khayelithsa in 2012. We are the “one stop shop,” providing car rentals, township tours, and bookings in the Western Cape, South Africa, Africa, or Overseas. We embrace and stand by the saying, “you are what you are because of others.” We value the community and empowering those outside and inside of Khayelitsha to travel. To ensure the best possible travel experience from beginning to end; building a place where clients are able to find and uncover endless travel opportunities. We are dedicated to creating an authentic, enjoyable, and memorable travel experience. Khayelitsha Travel is a travel service provider for all your adventure and cultural needs in South Africa. By introducing international tourists to the authentic African community, we are able to teach and help each other to grow together. Customised Holiday Packages for South Africa, Africa and MSC cruise. Transport services & coaches as required. Tailor-made holiday itineraries of your clients to meet there holidays requirement. Domestic Air tickets at competitive market rate. Sightseeing arrangements with experienced and knowledgeable guides. Greetings to all beautiful travellers. My name is Loyiso Mfuku, your trusted cultural guide. I assist as walking township tour specialist but most of all I work as a general manager, so my message to you is clear, don’t just book a tour book an informative tour, ours are interactive, educational, authentic & provide insight to people’s daily life. 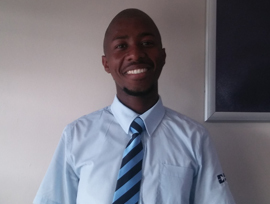 I, Batandwa Tsibani, one of the best consultants at Khayelitsha Travel. You’re more than welcome to come and book with me either a tour, flight, accommodation, car, venue or romantic holiday package. I am willing to help and assist each and every customer coming to book any of the services that Khayelitsha Travel offers. Make your holiday unforgettable by hiring any of the services with Khayelitsha travel, with reasonable prices.